This little boy reminded me so much of the old time band from Fenway Park. 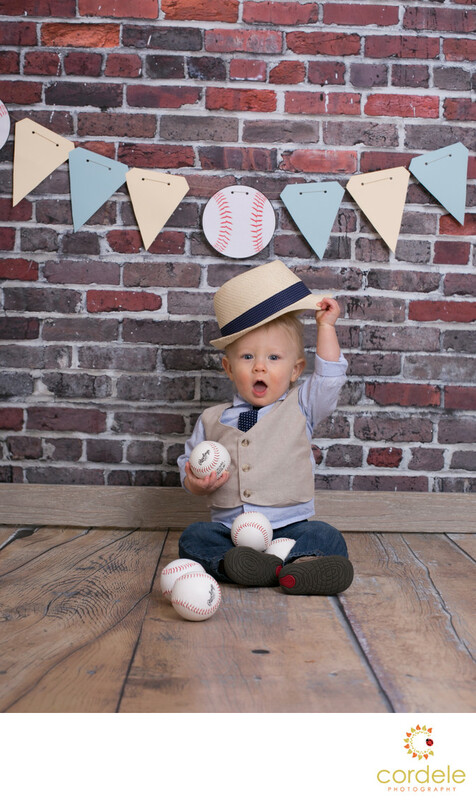 This was his first birthday portrait and when I caught him lifting the hat, I knew this was a shot worth saving. We put up the brick background to give it the outdoor feel and added baseballs to make sure people knew how much they loved the Red Sox.